978-3-8440-3096-9, 355 pages, in German. R stylo, a suite of stylometric tools, was used to analyse the so called Shakespeare apocrypha, a body of Renaissance plays that have been attributed to Shakespeare in part or in toto, but whose authorship has never been proven or refuted convincingly. As R is quite new and embodies a combination of powerful procedures and functions the various methodological approaches were tested simultaneously to make sure that results complied with criteria like evidence and plausibility. In the past many stylometric investigations relied on the relative frequency of function words, and PCA and multivariate analyses made use of larger textual units which were very often the products of collaborative efforts of playwrights. R has the capacity to differentiate between authors even within smaller text units using the rolling delta procedure and its features. The overall result is that a large number of apocryphal plays are indeed Shakespeare’s, and many of the plays that make up the Shakespeare canon represent the last stage of a long and complicated process of rewriting and revising, finally concluded by Heminges and Condell in 1623. The first drafts are shorter and simpler in their plot construction. Many refer to the Queen’s Players, a troupe of actors that dominated the 1580s and dissolved around 1591. 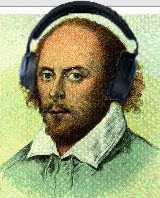 There is good reason to believe that Shakespeare served his apprenticeship in the mid 1580s as a playwright with colleagues like Thomas Kyd, Christopher Marlowe, Robert Greene, George Peele, Thomas Nashe and Samuel Rowley, a prolific writer who is scarcely mentioned in secondary literature, but whose stylistic features can be found in an astounding number of plays. Among the plays that were later given a prominent position and a new name within the canon are The True Tragedy of Richard III (Richard III), The Taming of a Shrew (The Shrew), The Troublesome Reign of King John (King John), King Leir (King Lear) and The Famous Victories of Henry V (Henry V). Shakespeare also wrote Fair Em, Edward III, and had a fair share in a number of additional plays like Edmund Ironside, and Mucedorus. Sir Thomas More, Sir John Oldcastle, and Thomas Lord Cromwell all contain Shakespearian contributions and show traces of early compositions and later revisions and additions. The first part of Richard II, also known as Thomas of Woodstock, was written by Samuel Rowley. Only act five is by Shakespeare, which explains Marlowe signals in Richard II. Shakespeare apparently used archive material that Marlowe and he had gathered. Kyd and Shakespeare also wrote Arden of Faversham, and Locrine is Marlowe’s work. Some observations should not be left out. Thomas Kyd and Shakespeare collaborated in many ways. Kyd contributed to Titus Andronicus, and The Spanish Tragedy shows Shakespeare’s style in some places. All of this was concluded not from word frequencies alone, but from a series of investigations that made use of character bi- and trigrams which evaluated more text than word frequencies and were statistically more sound. Volume I roughly covers the period up to the opening of the Globe, and volume II will have to deal with some errors like Wilkins having written the first two acts of Pericles (once again the result of an insufficient number of word frequencies). But there will also be among other plays the forgeries of Ireland, and the Shakespearean stylistics of Theobald’s Double Falsehood.